Come join Cascadia in celebration of the holiday season with this years “Holiday Pops” concert. 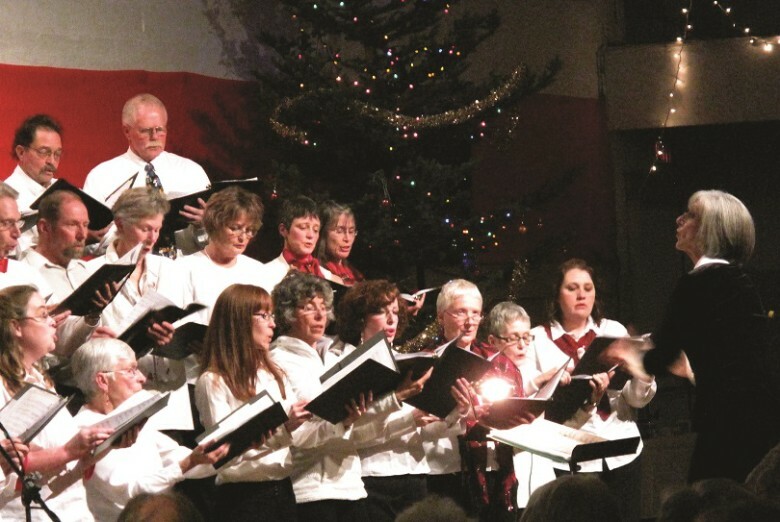 Let Kelly Donahue Master of Ceremonies, the Cascadia Chorale conducted by Dana Stromberger, the Pipestone Youth and Adult Orchestras directed by Tara Kaiyala-Weaver and the new addition of the Methow Valley Bell Choir led by Liz Johnson get you into the holiday spirit. Feast your senses on festive music and good food. Refreshments will be provided at intermission as fundraisers for the Methow Valley Ski Team and the Methow Valley Killer Whales Swim Team (or is this Friends of the Pool). This year Cascadia offers reserved seating in the front three rows and balcony for $15 and a “kids room” for those children who need to let out their holiday spirits.